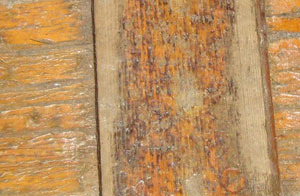 You should always be wary of companies who make wood stains and claim they will last for years on end. Often this is an exaggeration just to dupe customers into buying their brand. Wooden decks look great and keeping them looking great is no easy feat. If you own one then you know how high maintenance they can be. You can choose to neglect your decking but you will see how quickly they deteriorate. Companies who offer warranties of up to eight years, however, are complicating things. We here at DeckStainHelp.com thank you for your continued support. Without you, we wouldn’t be the internet’s number one reference for all things wood deck restoration related. 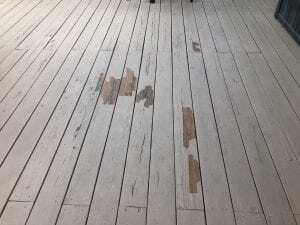 See below for tips on how to treat and stain an old deck. As always, we appreciate your input, so feel free to leave a comment below. Bringing an old deck back to life can be very rewarding. But like any rewarding venture, the task can be daunting. With the right knowledge, however, it can be well worth the effort. A restored deck can give your home’s exterior a much-needed facelift not to mention raise your home’s curb appeal and value. Re-staining an old deck requires a few tools. A pressure washer is very helpful but a scrub brush can also be used. Pressure washers can be rented if you do not own one. Before re-staining an old deck, the surface needs to be clean. A good wood cleaner will go a long way in aiding the cleaning process. A quality deck cleaner will loosen dirt, grime, and graying making them easier to remove with the pressure washer or scrub brush. It will also rid the old deck of mold, mildew, and algae. The idea is to reveal clean bare wood so the new deck stain will perform properly. We here at DeckStainHelp.com are proud to be the internet’s number one reference for all things wood deck restoration related. As before, we do not recommend the use of polyurethane stains on outdoor decks as they will peel. We always appreciate your input and questions, so feel free to leave a comment below. Unlike some wood stain finishes on hardwood floors that have a reflective or shiny finish, most exterior deck stains are not meant to be shiny. A deck stain works best when it is applied to a clean wood surface. This allows the deck stain to penetrate deep into the wood pores to ensure a solid wall of protection against sun and water damage. The amount of deck stain that is applied depends on different factors like wood age, condition, and porosity. Not all wood surfaces will absorb the same amount of deck stain when they are being refinished. 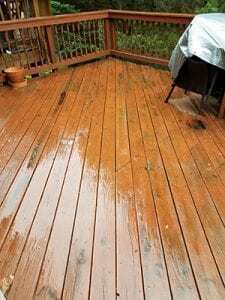 Apply Polyurethane to A Deck? Update 2019 for Apply Polyurethane to A Deck? Welcome to DeckStainHelp.com, the internet’s number one reference for all things wood deck restoration related. As before, we do not recommend the use of polyurethane stains on outdoor decks. We always appreciate your comments and questions, so feel free to leave one below. Should I Apply Polyurethane to a Deck? Selecting a deck stain or sealer is a vital step when finishing your deck or when your deck is in need of being recoated. Wood decks are exposed to severe weather conditions and need to be protected with the correct type of wood sealant.